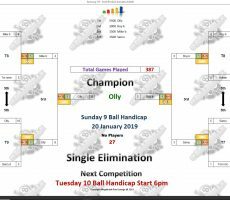 SUNDAY 9 BALL – 20th JANUARY : OLLY WINS. 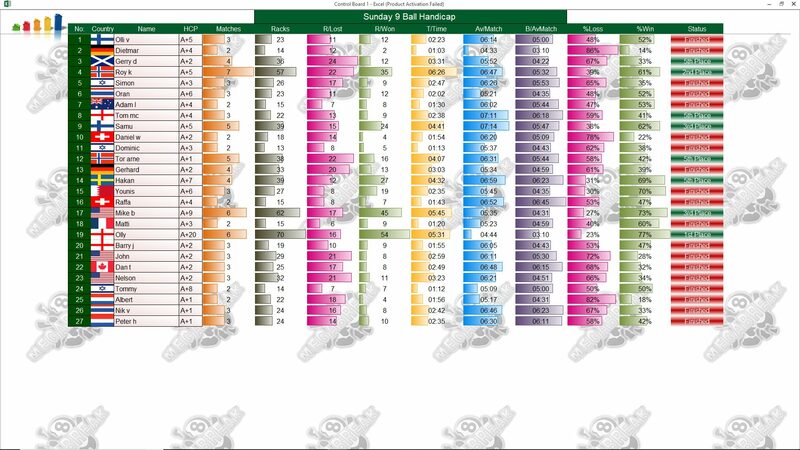 It was a rare victory for the high handicappers on Sunday night, with Megabreak’s Olly Downey lifting the trophy. 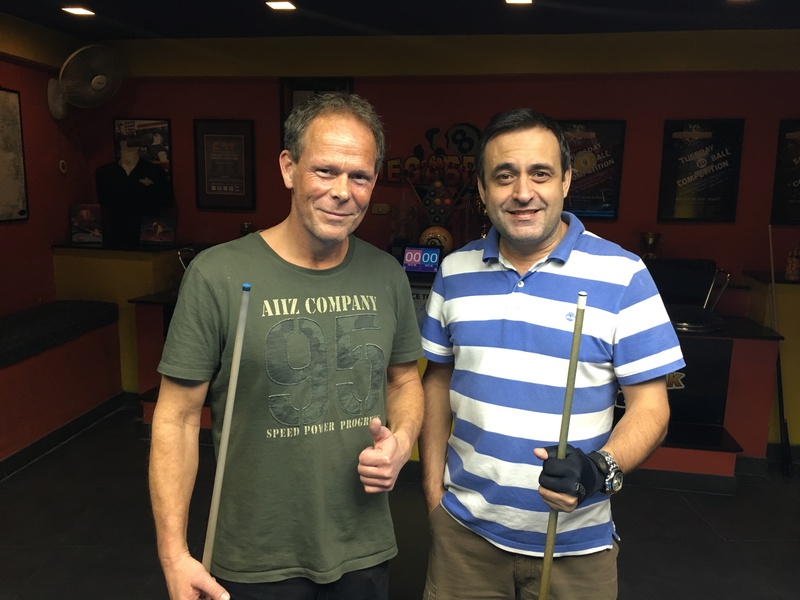 It was also the first time that he has won a 9 Ball competition here for more than three years, with his last victory coming in January 2016!! 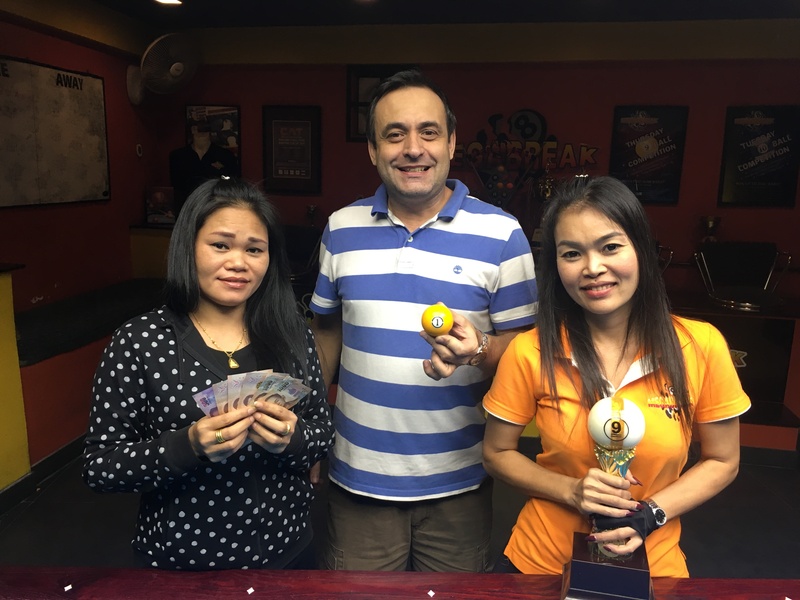 From a total entry of 27 players, he beat Norway’s Roy Karlsen in the final by 8 racks to 2 (race 8-4) to collect the 1st Prize of 5500 baht. 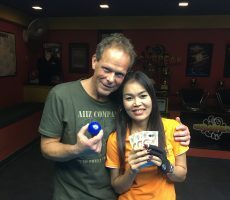 Roy played well to reach the final in only his third tournament here, and took home 3000 baht in 2nd Place. His handicap now moves up to A+6 as a result. 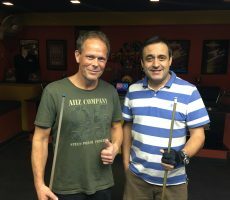 The other money winners on the evening were Mike Berezovsky from The USA and new player Samu Laine from Finland, who each pocketed 1500 baht for reaching the semi-finals. 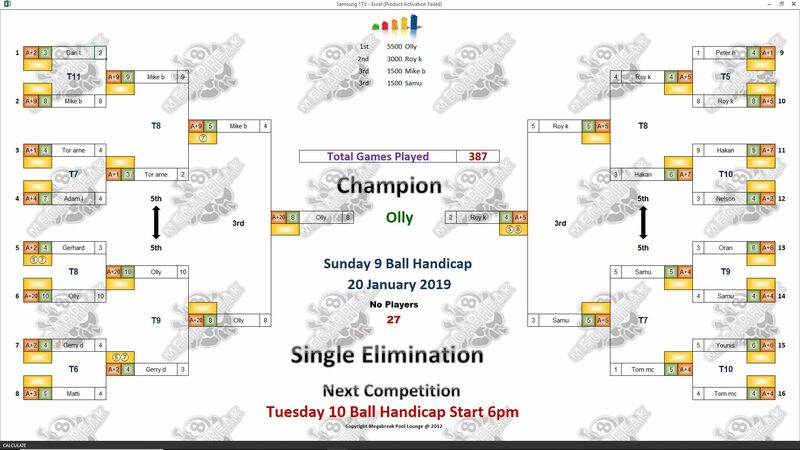 Champion : Olly (A+20) – 5500 baht. 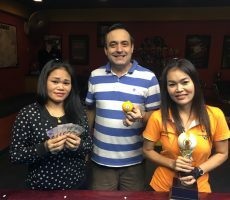 Runner-Up : Roy (A+5) – 3000 baht. 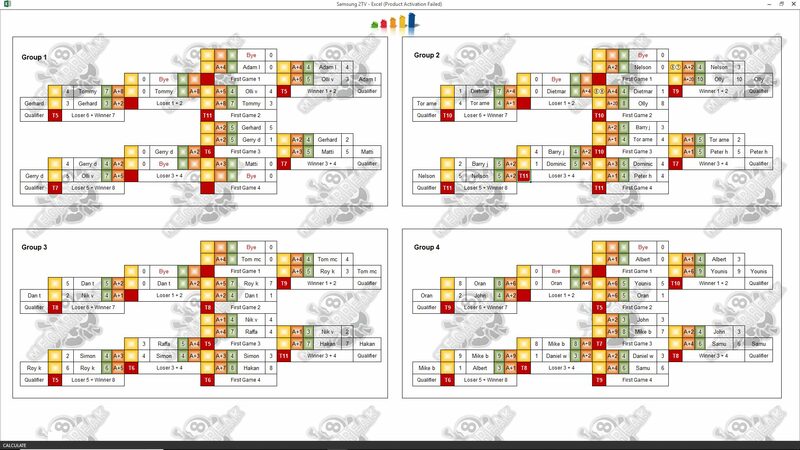 Semi-finals : Mike (A+9) and Samu (A+5) – 1500 baht each. The Player Auction Prize Pot totalled 33000 baht and was won by Younis Ahmad from Bahrain. He paid 1500 baht for our winner, and they shared the 1st Payout of 9000. 1st : Younis (Olly) – 9000 baht. 2nd : Gerhard (Roy) – 6800 baht. 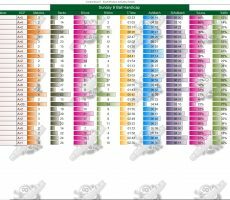 Equal 3rd : Tor-Arne Fenes (Mike and Samu) – 3800 baht twice. Equal 5th : Younis (Hakan), Tor (Tom Mc), Dan (Gerry) and Dominic (Tor) – 2000 baht each.